I was a Girl Scout. That’s right. An all American, rock and roll, crazy-funny, dippy nerdy Girl Scout. My troop number: 972. Our motto: live, laugh, love. My active scouting years: 1961 to 1974. 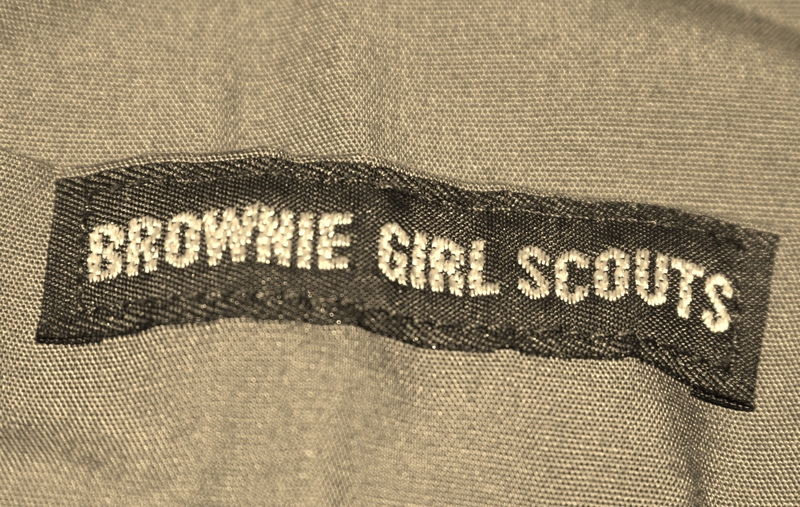 And not only do I still know the Girl Scout Promise by heart, but I am also quite familiar with the Trefoil Pin . . . and the difference between a brownie, a junior, a cadet, and a senior . . . and the ten Girl Scout Laws, with the fourth (a Girl Scout is a friend to all and a sister to every other Girl Scout) being my personal favorite. And I was an all-in Girl Scout. I made, owned and used a sit-upon. I proudly wore my uniforms from the brown Brownie dress and brown Brownie beanie to the green Junior jumper, keenly accessorized with a green badge-covered sash. I read my handbooks cover to cover, making appropriate notations in the margins to ensure that I completely understood each and every Girl Scout rule. I took pictures at my Fly-up Ceremony, was proud of the day I became a Senior Scout, and to me, the best thing to do on March 12th is celebrate World Girl Scout Day. In my mind, the world of Troop 972 could only be described as the best type of crazy funny living that ever happened to me. There was nothing better than me and nineteen of my closest Girl Scout friends sleeping in a lodge with no electricity and no running water in the middle of a cold Missouri January. I can recall watching the snow shower down around us – hoping and praying for more. As an eleven year old, the same group of twenty young ladies spent a week building primitive teepees, and a week living in them, again, no electricity or running water within a five-mile radius. Showers were built out of water-filled recycled Clorox bleach bottles tethered high enough to splash our faces. At night, tin mess kits and battered canteens were kept in ditty bags and hung from trees, along with all food, far from the camp as we had no desire to encourage visits from nearby raccoons. From eighth grade and throughout high school, Troop 972 bailed on lodges and teepees and took up hammock camping somewhere in the hills of Troy, Missouri. And just before exiting high school, the gang decided that there was really no need for hammocks, as sleeping bags on the ground worked just fine. Of course, transistor radios, flashlights, pocket knives, and rain tarps were must-have items. Everything else was just something that had to be carried. Throughout my Girl Scout years, I learned to tell the difference between a clove hitch and a bowline, cook anything in tinfoil packets, build fires quickly and efficiently, clean clothes in nearby streams, fend off spiders, and sleep in the great outdoors. Though all insignia that we wore indicated that we were Girl Scouts, our hearts told us that we were more like modern American pioneers – discovering, inventing, creating, and surviving. Today, as I look back on my scouting years, I am very aware that what I did as a young Girl Scout in the late 60s /70s would be impossible to replicate today. For good or for bad, it just wouldn’t be allowed. It just wouldn’t. Today, no one would allow a group of eleven year olds to winter camp, each of us carrying and using a hatchet to chop wood for the fire which warmed us and fed us for a week. No one would allow twelve-year olds to live in teepees for two weeks without any access to any type of modern amenities including plumbing, electricity, and/or outhouses. No one would ever allow thirteen year olds to hang handmade hammocks between two trees – the ultimate test of knot knowledge and skills – and sleep in them. Truly the score was danger ten, safety zero. And certainly no one would allow fourteen to eighteen year olds to march out for miles into the forest, throw down sleeping bags and set up camp in the middle of nowhere – with no functional means of communication to any parent – for seven to ten days. Looking back, we were at best living on the edge and at worse, putting ourselves in the middle of many, many dangerous, age-inappropriate situations. But we were Girl Scouts. We were a group – a gang – of renegade young ladies, bonded together through scouting, learning to become the women we are today. We didn’t really think about what could have happened to us. We only thought about the next moment, the next challenge, and the next great adventure. The good news is that we all survived. We lost no one and encountered nothing that toppled Troop 972. I am quite sure that I have long forgotten all of the awkward, anxious, and most likely, idiotic times that put me and my GS friends in some type of peril and only recall those that paint the rosier, heartier, and more captivating version of our history. Today, I can see that had the troop been active during this century, its history . . . its story . . . its life would have been completely different. And I can only think that it would be even better. I still am a Girl Scout. What Happened to That Girl? My many thanks . . .
To Lens and Pens By Sally for the kind Beautiful Blogger Award Nomination. 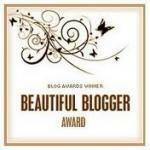 Following are my seven nominations for the Beautiful Blogger Award . . .